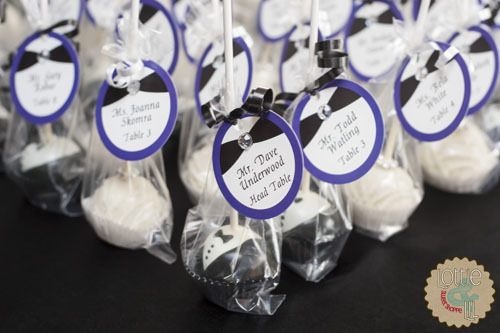 Cake pops make great place cards! They can easily display your guests’ names while also offering them a tasty treat. 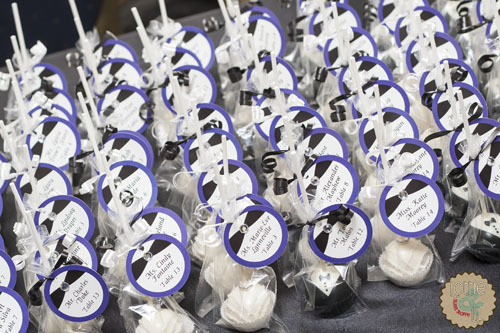 Giving all women a little bride cake pop and the men a little groom adds an extra special wedding touch to your engagement party or wedding. This entry was posted on Monday, August 12th, 2013 at 9:51 am	and is filed under Wedding Pops.